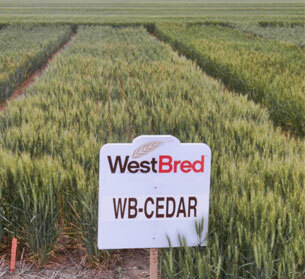 WB-Cedar is a hard red winter wheat variety that is broadly adapted to the Central and Southern Great Plains. It features excellent straw strength for delayed harvest and high management. It is tolerant to acid soils and soilborne mosaic for East to West adaptation. WB-Cedar features a good foliar disease resistance package including stripe rust. It also features good drought tolerance for tough conditions.